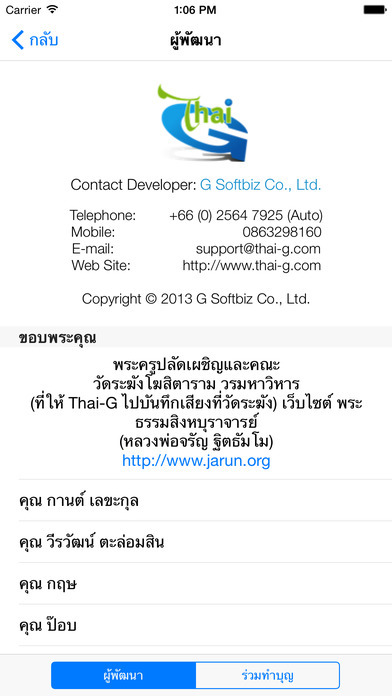 This application supports iPhone OS 2.x and 3.0. 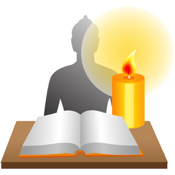 Buddha prayer application on iPhone is a collection of many different Buddha prayers which help you easy to find your required Buddha prayer and easy reading words. Moreover, praying is a way to help calm down the mind and being concentration. Our team hopes that this application will make everyone who loves praying more convenient when this application is in hand. We also persuade everyone make donation to various temples for his/her happiness. We come together with philanthropy. 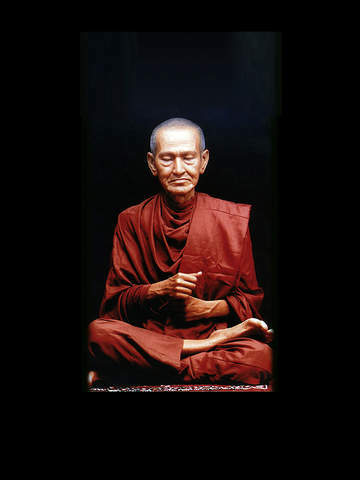 - has a table of contents to help search Buddha prayer easier. 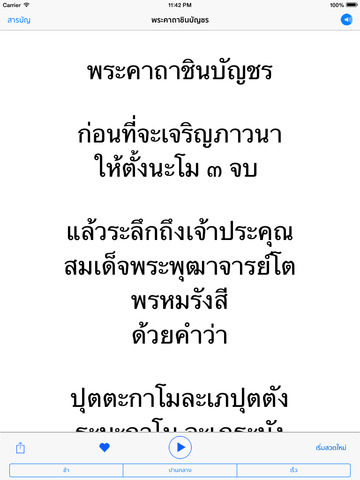 - gather more than 100 Buddha prayers. - can set the scroll speed of prayer which has 3 levels: slow, medium and fast.